This is NOT a formal education program. If you are looking for a formal education program learn more about our options here. 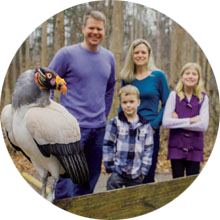 Our educators – human and avian—can come to you to make your event take flight! CRC travels to events across North and South Carolina to introduce festival and fairgoers to our extra special birds of prey. 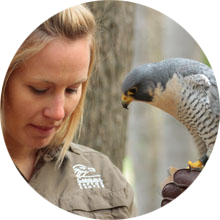 Birds along with props and hands on activities help the public understand where raptors fit in their world and why humans have been fascinated with them for thousands of years. Your first step is to complete the online Program Reservation form here. What kind of program is right for your group? How much will it cost? How do I begin? Please refer to this document for frequently asked questions about Education Programs. 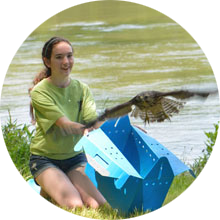 What types of birds do you bring to Offsite Events? 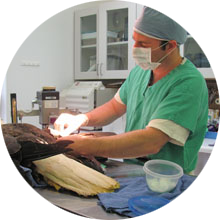 The types of birds will vary depend on the type of program you choose. However, we usually bring a mix of owls, hawks and falcons. You may add an eagle to any program or event for an additional charge. What does it cost to bring CRC to my Offsite Event? These prices cover an unlimited number of participants. The price covers a 2-hour time period for locations 1-25 miles away from CRC and a 4-hour time period for any place further than 26 miles. A deposit of 50% of the program fee is required to confirm your program or event. The balance is due on or before your program date. More than 10 business days prior: your deposit will be returned to you, minus a $25 administrative fee. Between 3 and 10 business days prior: you can apply your deposit to a future event. Deposit can be held for up to one year from original event date. Less than 3 business days prior: you forfeit your deposit. CRC will conduct events rain or shine; the above policies also apply to events cancelled due to inclement weather.